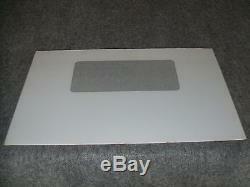 This listing is for one used Jenn-Air Range / Oven outer door glass part number 74002057. Has normal signs of being a used part such as rust, scratches or discoloration but in great working condition. Please make sure this part matches what you need. This part was removed from a Jenn-Air range (Model #FCE30500W) and will fit several different ovens. The item "74002057 JENN-AIR RANGE OVEN OUTER DOOR GLASS WHITE 29 9/16 18 7/16" is in sale since Thursday, June 15, 2017. This item is in the category "Home & Garden\Major Appliances\Ranges & Cooking Appliances\Parts & Accessories". 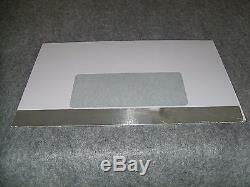 The seller is "abelding707" and is located in Belding, Michigan. This item can be shipped to United States, Canada.